The link to Debbie's message from our recent SweetMercies meeting is up! If you weren't able to come on Sunday, please take a listen! Look at the words and actions of Jesus. By the world’s standards, from a human perspective, this is a reckless love — associating with prostitutes and tax collectors and sinners, right under the noses of the Pharisees? Touching unclean lepers? Inviting the very man who would betray him into his inner circle of disciples? Look at his words: leaving 99 sheep to go after 1? That seems so careless — just let him go, he deserves what he gets. We’ve heard it said, “Love your neighbor and hate your enemy.” But Jesus, you’re saying to love our enemies and pray for those who persecute us? Is that wise? And what’s with this parable of the prodigal son? Jesus, are you saying we should mimic that father who sets aside his personal dignity and risks his reputation by running to and embracing and welcoming that wayward son? 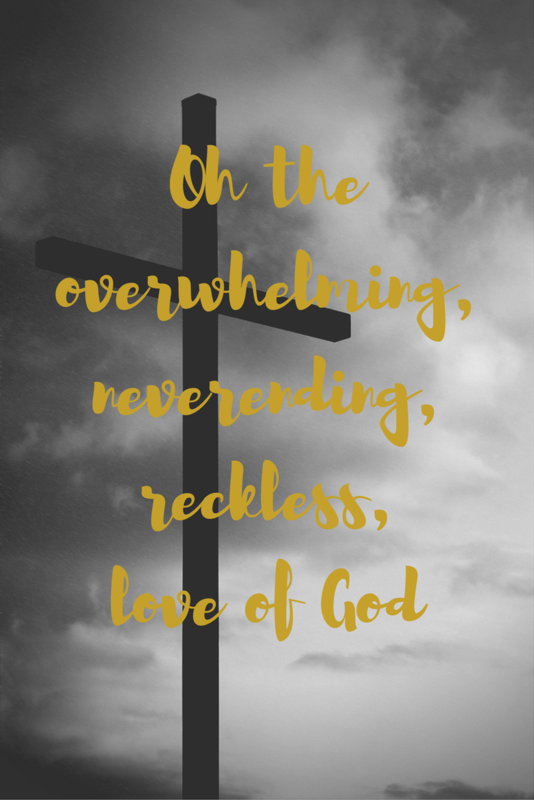 But whatever you sing, allow yourself to be shocked by God’s unfathomable expression of love for you. His love should take your breath away. It should shock you out of your reckless pursuit and acceptance of sin and leave you on your knees. Let's make the party about Him! Thanks for stopping by! Sweet Mercies is specifically designed for the women of Redeemer Church, to provide opportunities for encouragement through fellowship.